This year marked my fourth consecutive year running the Boston Marathon. I thought I had the training down by now and after an incredible finish in 2015, my confidence was high and I knew I could BQ (Boston Qualify) again this year. Training began the end of December. My training program is found in the “Run Less Run Faster” book and I followed the training plan to a T. You can read about my 16-week training program in my blog. It is the same training program I have used for the past three years now and it works for me. I put in the work each week and practiced my downhill running on all of my long runs. The only thing I didn’t anticipate was the warm weather. Here is the thing with Boston, you never know what race day will bring as far as the weather goes. In 2015, the weather had been sunny and warm in the 60s every day leading up to and following Marathon Monday, but it changed dramatically and was cold, windy and rainy on race day. This year was no exception, but we experienced quite the opposite. It was cloudy, cold and windy everyday leading up to Marathon Monday, but then it changed into summer temps almost over night. You would think this Southern California gal would have no problem running in full sun and heat, but I hadn’t trained in those conditions. I prefer to get up extra early and get my long runs done well before the heat of the day sets in. Also, my particular long run route has a lot of shady areas, so I am not used to running in full sun for an extended amount of time. The weather this year really did me in. I should have learned from Boston 2014 when it was so hot that I needed to slow down my pace in the beginning and conserve energy, but I was too confident in my training that I wanted to start out at the pace I had trained for. I arrived in Athletes’ Village around 9:00 AM. It was already reaching temps in the 70s as I stood in line for the port-o-potty. My start time was at 10:50AM and I needed to exit Athletes’ Village by 10:00AM to walk to the starting line. In previous years, I arrived with more time to sit and relax a bit before I began my race. Also, I was wearing my throw away clothes over my race outfit to help me stay warm, but I ended up discarding them the minute I entered the village. Needless to say, all this didn’t help my body prepare for the heat of this race. I did, however, drink a full bottle of water with Nuun Energy and Plus for Nuun on the bus so I was well hydrated. I also started drinking lots of water and and Nuun the previous three days leading up to race day. So I thought I was well hydrated. Wave 3 began and I started out running at the 7:50 pace per mile I had trained for. First mistake, I should have slowed my pace in the beginning to allow for the hotter temperatures. 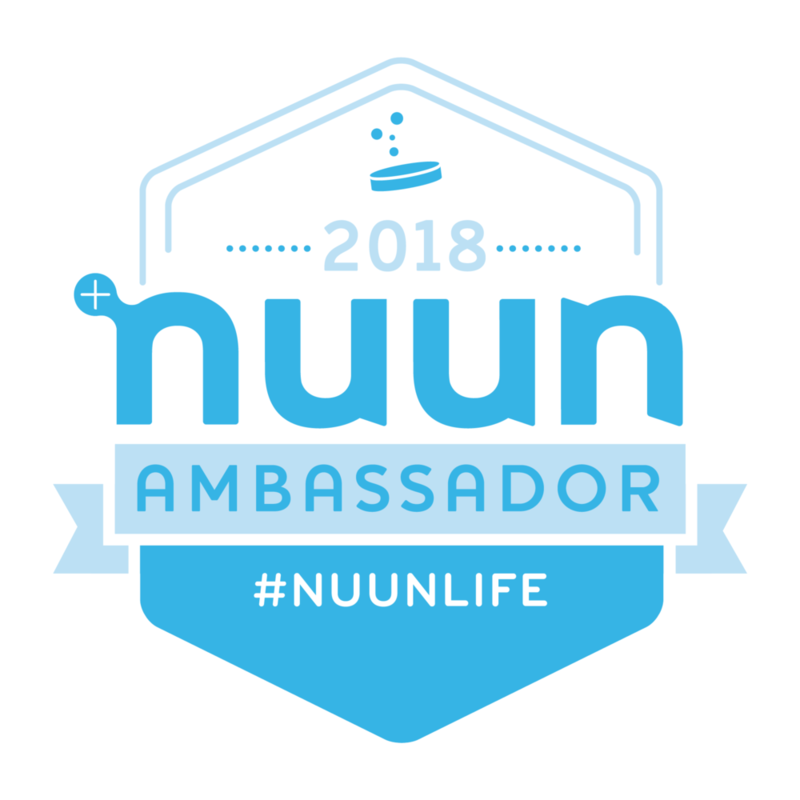 I drank my Nuun Energy that I carried in my handheld Nathan water bottle and made sure I was sipping at every mile marker. In fact, I drank 3 full bottles during the race and stopped several times to grab a pitcher and pour the water into my bottle hoping my pace could stay on target. By mile 10, I just couldn’t keep the pace anymore and the heat was getting to me. I know when I wiped my brow and realized it was covered in salt that this was probably not going to end well. Every hill or even slight incline, felt impossible to conquer. I remember thinking to myself how easy the race seemed last year in 2015 when the weather was so cold and rainy, I never even noticed the inclines. It just goes to show you how much harder it is to run in the heat. It felt like it took forever to reach the half way mark, Wellesley College. I was averaging around an 8:30 pace and I wasn’t very happy. I pulled my iPhone out and decided to take a video running past the college girls scream tunnel. Usually I don’t take videos or photos, but I decided it might be fun to share the experience with my family. That’s the thing with Boston, the spectators really make it fun and make you forget the pain you are in. They push you to keep going and just when you want to quit and walk, someone will yell out your name and you gain a little speed. By mile 16, the Newton hills had begun and I was feeling every one of them. I was struggling and having a hard time and needed some encouragement, but in this one particular area there weren’t many spectators. This is the exact location I was in a year ago when I heard my name being called and when I first “met” Maria, one of my followers on Facebook that had been following my journey to Boston since 2013! Well, I managed to finally meet Maria this year at the Expo and give her a hug. To my surprise, she was out there again this year in the exact location. I was so happy to see her and she started running to keep up with me, I yelled out in desperation, “Pray for me girl!” It was so nice to reach out to a fellow sister-in-Christ and ask for help. Maria ran along the edge of the course with me for a bit. Thinking back to that mile, she was the only one that actually knew how I was doing and how I was feeling. My friends and family were tracking me and getting the runner alerts but they had no idea what was going on in my head and in my body. Thanks to Maria, I had the encouragement I needed to keep going. I knew the Nuun crew was going to be out cheering somewhere near mile 17 and I was determined to find them. Once I did, I received cheers and high-fives and a surge of energy came upon me to keep going knowing I still had Heartbreak Hill ahead of me. Surprisingly, the last part of the race went by rather quickly. I managed to make it up and over Heartbreak Hill and that’s when I heard my name being called again, so I turned to look and saw my sweet friend and her daughter cheering me on! I met Melissa a few years ago at the expo and we have met up each year since. She even got some cute photos of me blowing her kisses as I ran by. By mile 23, my Garmin lost satellite and I had no idea where my pace was. Trying to do math in my head to figure out if I was still on pace to BQ was comical. I still had the elapse time on my Garmin so I could try to guess my pace was at least at a 10 minute per mile pace. Trying to estimate my finish time, I realized I could still BQ if I didn’t slow down. There was a turning point when I wanted to throw it all away, all 16 weeks of hard training and just walk but I didn’t want to train again and have to run another full marathon so I sucked it up, prayed HARD and kept going. The spectators grow by the hundreds during those final 3 miles as we head into Boston. I was searching for the Citgo sign, knowing it marked the final mile of the race. Seeing it in the distance, praying it was closer, I kept going to the finish. My husband was trying to meet me near the final left turn onto Boylston Street. I kept looking for him in the crowd of spectators as I made my way towards the finish line. Unfortunately, we missed each other. This was my 15th full marathon and the first time I didn’t see my husband. By this point, I was just relieved to be on my final .2 of the race and trying to take it all in as I crossed the finish line. As with tradition since 2014, I always grab the first volunteer and give them a hug and thank them, then I take a quick photo before I head over to get my medal. My legs were heavy and I was thirsty. I grabbed a bottle of water and drank half of it and poured the other half into my handheld water bottle. I made my way over to get my medal when my phone rang; it was my best friend Heather at home congratulating me. Not feeling good, I quickly went from telling her how hard the race was to thanking her for the call to good-bye. After receiving my medal, my body began to shut down; I fell into the arms of a volunteer and asked for medical attention. By the time I was wheeled into the medical tent, my body had completely shut down and I couldn’t move. My hands, feet and bottom lip went numb. I had to be lifted out of the wheelchair and onto the cot. Then the muscle cramps in my calves began. They came in waves and it reminded me of child labor! It was so incredibly painful and my crying out in pain and begging for an IV embarrassed me. You see, this wasn’t the first time I experienced severe dehydration, it happened to me after the finish of the Boston Marathon 2014. The only thing that helped me feel better was an IV. I had physical therapists working on my hands and feet trying to ease the cramps and uncurl my hand that were now bent and stiff. Broth was given to me through a straw since I was laying down flat on the cot. It was hard to drink, but I tried to hydrate as much as possible, in between the shaking and severe muscle cramping. Finally, I was given an IV and after the initial shaking stopped, I was finally feeling better. I was in the medical tent for a total of 1.5 hours. My poor husband was waiting out in the crowd for me, but don’t worry, I was able to call him and inform him of my condition. When I was able to sit up and walk again, I was escorted out of the medical tent. Never have I ever been in that much pain post marathon before. It was almost impossible to walk, my quads were stiff and didn’t want to function on stairs, and my calves were so sore from all the cramping I was limping with every step. With all that, I am proud to say that I stayed strong to the end and finished with a BQ of 3:49:45. Yes, I will be returning to Boston in 2017 and Yes, I did suffer at the finish but it was all worth it! My heart will always be in Boston and I have been forever changed by the bombes of 2013. The people of Boston are so special and I want to return every year for as long as the Lord allows. The training is done and Marathon Monday is almost here. Hard to believe I started training back in December for my fourth Boston Marathon. It actually went by rather quickly. The first month was a little difficult due to a breast cancer scare, but thankfully my biopsy came back benign. It was a scary month and wouldn't you know the very first day of training was also the day I received the call to come back in for a second mammogram. I trained through that first month of tests and doctor visits, staying hopeful that I wouldn't need surgery or chemo. God was so good, keeping me calm through that uncertain month. Now here I am all packed and ready to catch a plane and chase my dream tomorrow morning. Boston has a special place in my heart ever since running it my first year in 2013. It took me a while to get there due to a stress fracture in November of 2010 that required some surgery. I had already qualified but had to put those Boston dream on hold until I was able to recover and qualify again. It took me until 2012 at the LA Marathon to make my dream a reality. I always wondered why God wanted me to run my first Boston Marathon the year of the bombing. I learned and grew so much after healing that year and returning in 2014 was a real gift from above. I will never forget feeling so loved by the city and the people of Boston. It was a true homecoming and I am anxious to get back there this year....back home. This week of my training is bitter sweet, it marks my last long 20 mile run. The taper will begin next week. I am both excited for the taper to begin because I know I am getting closer to race day and I can tell that my body is tired and ready for the recovery phase, but that also means that race day is almost over. I have pushed it and I just hope I haven't over done it. Monday: Cross training at the gym with an hour PiYo Class to stretch and strengthen followed by some intervals on the Row Machine. First I did 5 minutes at an easy pace, then 5 minutes at a tempo run effort, then 5 minutes of easy pace, and 5 minutes at tempo, and a cool down of 5 minutes of easy rowing. It felt good, but my glutes always feel rock hard when I am done, as if I am sitting on rocks! Ouch!! Tuesday: Speed Work 10x 400m repeats. My schedule was to perform each quarter mile in 1:36. Here is how my splits went down: 1:25, 1:25, 1:27, 1:27, 1:26, 1:25, 1:26, 1:29, 1:32, 1:29. I was thrilled to see that I was faster than my scheduled pace! The previous weeks I noticed I was having trouble hitting my target pace, and that was so frustrating. Today proved the work is paying off and I am getting faster with less effort. I felt great with the effort I put into the repeats today. They were hard, but not too hard and I didn't go full out to complete exhaustion. Thursday: 8 miles at tempo with warm up and cool down. My schedule was for a race pace run at 8:12 but I have been able to go a little faster with less effort so I ended up doing 8 miles at an average pace of 8:00. I also did some upper body resistance training with 12 lbs dumbbells and some core work on the balance ball. After my run, I noticed my Achilles acting up on my left leg. It mainly was achy coming up the last big hill. Not good news when I still have a long 20 mile run this weekend. Friday: Rest, ice, yoga and stretching. I also put on some compression socks to help with my achilles pain. Saturday: Last long run at 20 miles. It started out pretty good, I felt good with the 4 miles of down hill but I did notice that both my hamstring/glute and achilles were acting up and angry. I tried to keep it easy on the up hills because that is when the achilles really hurt. I decided to finish out the final 2 miles on the flat part of my trail and not go up our hill back to our house. This made for a great negative split! My average pace for the 20 miles was around 8:19 according to my Garmin and 8:08 according to Strava. Still faster than my schedule called for at 8:27 but I am thinking maybe my race pace will be closer to 8:00 this year. Sunday: Rest, ice, stretch and recover. The countdown has almost begun! Almost one month away and I am so ready for the taper. My body has been tired, I have been busy working events every weekend and trying to fit in my training schedule has been difficult to say the least. Sleep deprivation and lack of normal meal times is also becoming an issue due to my busy work schedule. Hopefully after this weekend, things will settle down and I can get back to normal. Monday Kettle bell training with my clients this morning, two hours of back-to-back training. Then on to the gym for some intervals on the Row Machine ( 5 min easy pace, 15 min at tempo pace, 5 min easy pace) followed by an hour of PiYo. Mondays are my extremely busy mornings! Tuesday Speed Work: 3x 1600 It went terrible today! So frustrating with wind resistance and Garmin satellite issues. I couldn't hit the target pace of 6:51 per repeat, instead I was closer to 7:00 and 7:17. I pushed through every mile repeat and did my best to get it done. Thursday: Long Run @ 16 miles. I had to switch my long run day again this week due to my work schedule. It went great! I was able to maintain an average pace of 8:05 according to Strava. I chose a hilly route, so I was pleased with my finish time. Still trending a little faster than my target pace, but I am monitoring my body and how hard I am working so I don't over do it. Friday & Saturday: Rest Day/Working at the Hot Chocolate 15K San Diego Expo at the Nuun Hydration booth. Sunday: Hot Chocolate 15K San Diego/Tempo Run. I decided to make this a tempo run, but I actually ended up racing it! It was a hilly course, which was challenging. I worked on maintaining good hill running form (falling forward from my feet into the hill, shortening my stride, and powering up those hills). The final mile is mainly down hill, so I was able make a pretty good finish time of 1:11:28 which is a new PR for me by 2 minutes! Average pace was 7:31 according to Strava. The race felt great, I didn't work too hard because I didn't want to completely over do it and pay the cost. Near the end I met a woman who was in my age group, so I was a little motivated to beat her, and I did, by 16 seconds. I ended up finishing second place for my age group. We never saw the first place woman, but apparently she finished four minutes before we did. This week was awful, I had to switch my schedule around to accommodate for my work schedule. I was working all day Friday, Saturday, and Sunday at the Natural Products Expo West in Anaheim, Ca. It was a lot of fun handing out Fig Bars at the Nature's Bakery booth (I am an ambassador with them) but the hours were long and I was on my feet all three days. Needless to say, I didn't get any training in during the weekend. Monday: Cross Training Row Machine Intervals, PiYo, and upper body resistance training. Began the day training two clients with upper body dumbbells and core work. Then at the gym I did intervals on the row machine: 5 min warm up, 6x(3 hard, 1 easy) 5 min cool down. Ended with PiYo and a visit to my chiropractor for an adjustment. Tuesday: Speed Work Track Repeats. First, I warmed up for about a mile and a half because my Garmin couldn't find the satellite signal. Then my main trail is under construction so I was detoured into the street where I had to share a very narrow lane with cyclists. Here is how my repeats when down: 1000m @ 4:15 (6:48 mile pace) 2000m @ 8:59 (7:12 mile pace) 1000m @ 4:39 (7:26 mile pace) 1000m @ 4:21(7:04 mile pace). This was a tough run day for me, my body felt heavy and sluggish. I just couldn't meet my scheduled pace @ 4:15 (6:48 mile pace). I felt discouraged and defeated but I never gave up. I finished all repeats and then found a beautiful patch of pink and purple flowers. They made up for the yucky run and made for a great background for my Instagram photo; check it out @crossmyheartfitness. Wednesday: Cross Training Spin Class, plus some core work. Thursday: Long Run 20 miles. This was another tough run because I had to switch my schedule around. Usually I do my long runs on the weekend, but this week I had to move it to Thursday. After I had trained my morning clients, I went out for my long run and I had to endure full sun and temps in the 70s. It was another tough training run day. I averaged around 8:35 for the 20 miles. Those last few miles were really tough to get through due to the heat. Friday, Saturday, and Sunday I worked all day on my feet and didn't exercise or run. This week went really well. I felt strong, kept my diet in check and slept at least 8 hours every night. I am trying to get as much rest as possible, because over the next few weeks I will have to rearrange my training schedule to accommodate my weekend activities. This will be my last regular training week for a while. I began my day training two clients. We completed an upper body resistance training program using 12 lbs dumbbells. We also worked on core with sit ups, crunches, planks and balance training. Row Machine Intervals: 5 min easy, 10x (1 min easy, 1 min hard) 5 min easy. Tuesday: Hill Repeats (speed work in disguise). We live in the hills of Southern California, so it is easy for me to find several different hills to train on. Today I did 10 different hill sprints for a total of 1,425 ft elevation gain and a total of 5.6 miles. Thursday: 10 mile tempo run with warm up and cool down. Average pace for the 10 miles was 8:03 without stopping to rest. So thankful for the cooler weather this week. Saturday: Long run 15 miles at 8:15 average pace. Felt pretty good today and my hamstring wasn't as achy. My endurance felt really good, I didn't feel like I was working too hard. I am still averaging a little faster than my schedule, but I am keeping in a comfortable pace and trying to not work too hard as I would have to at race pace. You never want to run your long runs at race pace, otherwise you are technically racing every weekend and not allowing your body time to recover. Trying to find the happy medium. I have had to switch my schedule around a bit to accommodate for the warmer weather we are experiencing in Southern California. As a personal trainer and running coach, I train my clients first thing each morning. It is extremely hard to get a run in before the weather hits 70-80s, so as we runners must do, we make it work. I am now getting up at 5:30 AM almost every morning so I can get both my training in as well as my clients. This is the thing about marathon training, you must manage your time and training to work with your lifestyle. I do not prefer to run in the dark, mainly because of the coyotes and rattle snakes, so I choose to get it done after the sunrise each morning. Monday: Cross training day at the gym with an hour PiYo Class and intervals on the row machine. I highly recommend both. PiYo is a fun way to strengthen your body with a combination of pilates and yoga poses put together into a routine that is choreographed to music. You never get bored because every song is a new routine. It can be extremely challenging at times but an excellent way to stretch and strengthen your body in different ways other than running. Row Machine is great for cross training because it gets your heart rate up without impact. Today I did intervals: 5 minutes easy warm up, 5x (3 minutes hard, 1 minute easy) 5 minutes cool down. If you aren't sure how to row, I would suggest asking for assistance at the gym or Google and watch a how to video. Make sure to keep your abs tight and really lean forward and back to get that core work in. Keep the handles on the row machine at chest height as you row in and out and keep those shoulders down. Don't let the handles drop below shoulder height when returning to start position with knees bent, too many people drop then down below their knees and this is unnecessary. Tuesday: Speed work 1 mile warm up, 2x (1600) with 1 minute rest interval in between; 2x (800) with 1 minute rest interval. Here are my splits: First mile @ 6:54, Second mile @ 6:48 Or according to Strava it was 6:38 a new PR, 800m @ 3:39, and 3:28. Over all a good training run day and the weather was nice and cool because I was up with the sun! Wednesday: Spin class and some lower body and core work using medicine ball. Thursday: 4 mile tempo run. Began with 1 mile warm up, 4 miles at tempo with an average of 7:29 and 1 mile cool down. Here are my splits: 7:26, 7:43 (wind resistance) 7:22, 7:25. I can't tell you how discouraging it is when I can't meet my pace due to the wind resistance. I always tell myself, "I guess God knows best and is giving me a resistance training run today!" "Push through the pain and get it done," I always say. "This is what the work is for, right here!" Just some mantras to keep you going. Friday: Rest day, Praise the Lord and Hallelujah! Saturday: LONG 20 mile run. I really tried to slow it down today because last week I went out way too fast. First 4 miles were down hill (just like the Boston Marathon) then the road flatten out a bit and I hit some rolling hills halfway, followed by one large hill climb at the end. It's tough, but I got it done and stayed focused and positive. My husband met up with me to snap some photos. We lucked out and a horse was out on the trail today, made for a great Instagram post. I was pretty sore so I soaked in an ice bath for about 30 minutes then I did some yoga stretches at Jasyoga.com to help with recovery. Sunday: My body was still pretty sore from yesterday, so I took another day to rest. Better to listen to my body and rest than to push it and end up injured. Train smart I always say! This is my halfway mark. Time it flying and race day is getting closer! I am getting more and more excited about running my 4th Boston Marathon. Last year, my training went incredibly well and I ran my fastest race ever. I got a BQ and new PR of 3:39:00 which confirmed that my training really paid off. That and the fact that I personally run much better in crappy weather conditions (cold, wind, and rain). This year I am hoping for the same! Monday: Cross Training with Upper Body resistance training with 12 lbs dumbbells and some Balance Ball core work. Row Machine intervals: 5 min easy, 10 min tempo, 3 min easy, 10 tempo, 5 min easy. And ended the day with an hour of PiYo at the gym. I really enjoy this class because it helps to really strengthen my core and work my lower body with body weight resistance training. The poses also work to lengthen and stretch my muscles to aide in recovery. Tuesday: Speed Work 2x(6x400) with rest intervals in between. This is an extremely tough drill, especially on a hot, full sunny day with the temps reaching 80s. I ended up running to a local park and doing the 400m repeats in the parking lot because it was mostly shady. Let's just say this got old running back and forth. The last two I almost gave up and just ran home, but I told myself not to quit. So I ran the last two repeats on the trails heading back to my home even though they were in the sun and up hill. I guess I will have to start getting up early and finish my run before it gets too hot! The dilemma is real, which is more important sleep or running in cooler temps? Thursday: 3 mile tempo with warm up and cool down. This ended up being a perfect weather day!! No sun, but rainy and only 55 degrees. It was my fastest 5K with splits of 7:15, 7:09 and 7:15. As a reminder, a tempo run is done to increase speed and endurance and you are NOT to slow down or rest in between each mile. All 3 miles were done consecutively without stopping or slowing and you need to try and maintain the same pace. It's a very tough drill, but it really works to get your speed up. Saturday: Long Run @ 18 miles with an average pace of either 8:17 (Garmin) or 8:02 (strava). Not sure why there is such a discrepancy, but I got the miles in and the weather wasn't hot, so I survived! Monday: workout with some medicine balls and kettlebells for core and resistance training with my clients. Then I went to the gym for a PiYo Class (pilages yoga) and intervals on the Row Machine. Thursday: Tempo Run 5 miles at 7:22 average pace/mile. It was cold today (55 degrees) and pretty windy going out for the first 3 miles. My Garmin seemed confused during my first mile and clocked it at 6:37 which is wrong. During a tempo run, you try to maintain the same pace for the duration of the run, without stopping. Of course you do a slow 1 mile warm up and cool down, but the actual tempo run is no stopping or slowing. Friday: 16.3 mile road bike ride with some heavy wind resistance and hill climbs. Saturday: Day of rest: but I didn't really rest much since I was working at the Surf City Marathon Expo all day at the Nuun Hydration booth. Thoughts: remember how hard marathon training is on the body. You need extra time to rest and recover. Eat right and hydrate well before and after each training run. Stretch and do some yoga to help recover faster. I joined Jasyoga.com and I love it! One month done! That felt good, to have the first month of training behind me. The program I follow seems doable, however I do find that I get nervous or should I say anxious before every training run. Why? Mainly because I want to do my best to meet the required pace projected for each training run. It is a challenge most days, but I can usually meet each goal. But as we runners know, you never know what kind of a run you are going to have until you get out there and start running. Keeping my mind positive, I always tell myself to just do my best and not to stress over it. When my sleep becomes impaired due to the stress of the next day's training run, then I know I am stressing way too much about it. Often, I pray through each and every run for God to give me the strength and endurance to power through. Most days, I can feel His power helping me get up a hill or through each track repeat. Other days, I am thrown a curve ball in the shape of wind resistance, sleep deprivation, or illness. Its all part of the training for a marathon, so much of it is mental. Trying to find the right combination of mental and physical training is key and extremely challenging because you don't want to completely deplete your body nor your mind to the point where you just lose the love of running. You still need to find joy in each run. One way I stay balanced is to remind myself of the time I was laid up with a femoral head stress fracture and I couldn't run for 8 weeks and missed it so! Or the last summer when I had a physical therapist tell me he didn't think running was doing my body any favors and causing my hips to become unbalanced. After a visit to a specialist, I was clear to continue running. Running is a privilege, not everyone can do it and not everyone wants to do it. I have found my joy in running, a new career, new friends, strengths I never knew existed! Before every long run I always say, "I GET to run 20 miles today!" Instead of saying, "I HAVE to run 20 miles today!" Running is a gift, and I am so thankful for it. Monday: Row Machine Intervals: 10 min easy, 5 min hard, 5 min at tempo, 5 min easy. I also worked out my lower and upper body with a PiYo Class and some resistance training with a kettle bell. Thursday: 3 Mile Tempo Run with warm up and cool down for a total of 6 miles. Average pace for tempo was 7:26 for the 3 miles without stopping. I also did some kettle bell and medicine ball resistance and core training. Friday: Rest Day!!! So tired and sore!! Saturday: Long Run @ 18 miles with average pace of 8:37I had a coyote cross my path and I had to detour my route to avoid it. Scary! Sunday: Rest Day. I was supposed to go out on my road bike and do some intervals, but is so cold, windy and raining that I opted for another rest day. This week ended my first month of training. It was hard and challenging, and I stressed over every training run, but I got it done. I am so glad the first month is behind me and I am already reaping the rewards with more endurance and faster pace. Monday: Resistance training with 12 lbs upper body. Row Machine intervals ( 5 min. easy, 5 min. tempo, 5 min. easy, 5 min tempo, 5 min. easy). PiYo 1 hour class at the gym. 5x 1000 repeats(4:45, 4:26, 4:19, 4:24, 4:23) It was a hard run day, my legs felt heavy and sluggish. I couldn't get to the pace I was scheduled for but I didn't give up and I pushed through each repeat anyway. 4 miles at 7:33 average pace, which was faster than my scheduled 7:38 pace so I felt great! Saturday: 20 mile long slow run at 8:42 average pace. It was the perfect weather (53-59 degrees) and no sun. I felt good, tried to keep my pace slow and not push too hard. The last 3 miles my body was tired and sore and I had a huge hill climb. Still training for the Boston Marathon course, so I begin with 4 miles of down hill and end with some rolling hills and one large hill climb. Sunday: Active Recovery Road Bike Intervals (10 min. easy, 8 min. hard, 2 min. easy, 8 min. hard, 10 min. easy with some rolling hills. This week was a little challenging because I didn't do so well on Tuesday, but then on Thursday I did great! That's the thing with running, you never know how each run will go. I am keeping my diet healthy with lots of veggies and lean protein and I have added in more carbs since I have been hungry. Recovery is a challenge because I am so tired and sore, but I am trying to get at least 8 hours sleep every night and stretch and foam roll everyday. So far, my training has been going incredibly well. I always get anxious before a training run, knowing it will be challenging both mentally and physically. Thankfully, I have been able to reach my projected pace during each tempo run and track repeat. It's important to know that I am working hard enough to benefit by the training, but not too hard so that I am completely depleted and can't recover. It's a fine line between just enough and too much and my program has been able to match my pace. I have used the Run Less Run Faster training program for the past 2 years and it has really worked well for me. I tend to get injuries if I run too much and this program has me doing 3 key running workouts each week along with 2-3 cross training workouts. I did a circuit training workout with my client this morning. We did 1 minute of each exercise and then rested, and completed the circuit again 3x. The circuit consisted of: jump rope, reverse lunges while holding 12lbs dumbbells over head, 12lbs goblet squats, 12lbs biceps curls to over head shoulder press, jump squats, walking lunges. After training my client, I went to the gym and did the Row Machine (10 min. easy, 10 min tempo, 5 min easy) and a PiYo class. I went to the chiropractor for an adjustment, something I believe in doing once a week during my hard training. With all the stress on the body, I want to make sure everything is in alignment so one side of my body isn't working harder than the other. I was pretty sore, so I did a lot of foam rolling that evening along with some single leg bridge to help keep my glutes strong. Warm up easy run for 2 miles then speed work followed by 1 mile cool down. A tempo run is a faster-paced workout also known as a lactate-threshold, LT, or threshold run. Tempo pace is often described as "comfortably hard." Tempo running improves a crucial physiological variable for running success: our metabolic fitness. Why it works: by increasing your LT, or the point at which the body fatigues at a certain pace. During tempo runs, lactate and hydrogen ions — by-products of metabolism — are released into the muscles. The ions make the muscles acidic, eventually leading to fatigue. The better trained you become, the higher you push your "threshold," meaning your muscles become better at using these by-products. The result is less-acidic muscles, (that is, muscles that haven't reached their new "threshold") so they keep on contracting, letting you run farther and faster. Saturday: I was on my feet all day working at the Carlsbad Marathon Expo at the Nuun Hydration booth. No cross training today. As I have mentioned before, I try and simulate the race course as much as possible based on the elevation chart. My long runs always begin with 4 miles of down hill running and I finish up with some rolling hills and one final long hill climb. Today I was feeling really good and I was able to run a little faster than my target long run pace. I did make sure I wasn't working too hard because you don't want to run your long runs at race pace. This is a time to build endurance. I am starting to get into the swing of things with this second week of hard training. As I have said, my goal is always to BQ at Boston. My training is all about getting fast enough to do so. That is where the speed work and cross training work come into play. You only get faster if you put in the work. Also, you need to make sure you aren't over doing it and pushing yourself way too hard, but comfortably hard if there is such a thing. You will know the feeling when you get there, basically you still have a little extra to give without completely depleting yourself. I am a personal trainer and I train a client every Monday morning. We do a combination of total body resistance training and core work. Today we used a step and 10 lbs. Then I went to the gym for a PiYo class and some intervals on the row machine: 2 min hard effort, 1 min easy, 2 min hard, 1 min easy, 1 min hard, 1 min easy, and then 6 min easy cool down. 2 miles warm up at an easy pace, then I did 4x800 (2 min Rest Interval) and a cool down for a total of 5.4 miles. 5 miles at 8:04 average tempo with 1 mile warm up and 1 mile cool down. Friday I did some resistance training and speed ladder drills then I did some intervals on my road bike. I rode for 10 min at an easy pace, then I did 10 min at a tempo effort, followed by 3 min of easy and then some hill climbs. Saturday: day of rest. Yes, I do rest one day a week, it is the most important day because you need to rest, recover and repair your body so you can get stronger. Sunday was a long run day with 15 miles at an average pace of 8:39 which was a little faster than my program suggested. I started out with 4 miles of down hill running (just like the Boston Marathon course) then it flattened out a bit and I ended up some rolling hills and one large hill climb at the end. I am preparing for the course and Heartbreak Hill. Mental training is going well, it is hard to push your body to finish those track repeats, especially when you are almost to exhaustion and want to quit. I keep telling myself to keep going and push through the pain because that is where the work is. My body has been sore and tired so I am trying to keep my nutrition on point and get plenty of sleep. I have completed my first week of training, and it wasn't as bad as I thought it would be! This is my 4th consecutive year running the Boston Marathon (my 15th full marathon) and thankfully I trained smart last year and earned a BQ and PR at the Boston Marathon 2015. My training program will be the same this year, only I am switching up one cross training day from swim to outdoor bike intervals. As with most races, you usually have at least three goals in mind: to finish, to BQ (Boston Qualify) and to PR (set a new personal record). In keeping those goals in mind, I prefer to use the Run Less Run Faster training program. This program has worked well for me and as an older runner, I am 48 years old, I cannot run a lot of miles each week because I tend to get overuse injuries. With this training program, I have 3 main training runs per week and 3 cross training workouts: row machine intervals, spin class, road bike intervals. I also take one PiYo class a week at my local gym as well as resistance training with weights. Monday I did some sand bag training with my client. I am a personal trainer and I train my clients at their homes. We did some total body moves holding the sand bags: squats, walking lunges, dead lifts, upright rows, reverse lunges. We also used some balance pods for some core work and balance training. I went to the gym for a PiYo class then I did the Row Machine (8 min easy, 10 min hard, 5 min easy). In the evening I did a lot of foam rolling. Tuesday I was scheduled for some speed work. My plan said to do 3x 1600m but I opted to do 3x1200 (.75 of a mile) instead. I just wasn't feeling up to maintaining that pace for that long of a distance. With a warm up and cool down, I did a total of 4 miles. Wednesday I took a morning Spin Class at the gym. Thursday was more speed work, a tempo run. One tip about a tempo run, you MUST maintain your pace WITHOUT stopping or slowing down to rest, that is what makes this drill work. I did 2 miles of warm up then 2 miles at tempo pace (7:13 and 7:22) then a cool down for a total of 6 miles. I was shocked by my pace because I haven't done much speed work and didn't think I would be able to reach anything below a 7:30 pace. Friday I went on my first road bike ride with my sister. She just gave me her old road bike so it was my first day out on a bike. It has been years since I have even been on a bike! I was a little nervous because I haven't clipped a cycle shoe in before and of course I forgot and did fall after my first stop. But lucky for me, I was near the neighbor's garbage cans and they helped break my fall. We cycled a total of 28.8 miles. Saturday was my first long run. I was scheduled to do 13 miles at an average pace of 8:40. My Garmin was a little off due to satellite issues and I started out way too fast. My average pace was 8:25 which was faster than I had planned on. I try to simulate all my long runs as close to the elevation chart of the Boston Marathon. I began with a 4 mile down hill then it flattens out a bit and I hit a few rolling hills. The major hills climbs will come near the end of my long run when I hit 17-20 miles. "Run the mile you are in." "THIS is the work, make it count." "Work now so you can enjoy race day." As of Monday, December 28, I have ended the year with the beginning of my Boston Marathon training. This will mark my 15th full marathon and my fourth consecutive Boston Marathon. I have a few things working against me, so we will see how it all unfolds. As always, I train to BQ (My Boston Qualify time is 3:55). What better place to BQ than at the Boston Marathon! With three previous Boston Marathons under my belt, I know what to expect as far as the course goes. I really trained for the course in 2015 and it paid off big time with a new PR of 3:39:00 and a BQ with a 16 minute deficit, which helped guaranteed my spot for 2016. All of my long training runs began with a 4 mile down hill and then I added in some rolling hills at mile 13 and ended with a tough uphill around mile 18-20 very similar to the Boston Marathon course. The only thing I can't predict is the weather! It can vary from 40s to 80s and I have experienced both. This year was especially challenging with the rain, wind, and 40 degree temps, but I dressed for it and remained pretty warm. Its the warmer temps that break me and my pace, so I am always praying for cooler race day temps. Each week I will share my training, so you can see what I do and how I am doing both mentally and physically. Its a challenge to balance both and still maintain my sanity! I hope you are encouraged by my journey and I share it because I know when I started running in 2009 I wanted to know how other people did it. Anything is possible if you believe in yourself and your dreams and you push yourself to achieve them. I am well into my taper, and I have enjoyed running less mileage and allowing my body to recover and rest. Last week I still continued with my 3 days of cross training and 3 days of running. The only real change is that my weekly mileage went from 34-38 miles down to 23 miles. Since my kids were on spring break, I had to adjust my schedule a little. So I did PiYo on Monday and skipped the swim. On Tuesday I did 5x1000 with 400 rest Interval in between. Here are my times 4:08, 4:12, 4:11, 4:11, 4:25. That last interval was hard, and I had to really push myself to get it done. My attitude going into a training run is always to just do the best that I can, and do what feels right without over doing it. This is not the time to break any records and end up injured just weeks before Boston. In doing so, I try to focus on my form and breathing. After my run, I noticed that my right glute was acting up a bit again. This was an issue 6 months ago, and I went through physical therapy to deal with it. My training has been going great, even though I have had to incorporate a new running form concentrating on using my glutes and not only my hamstrings. Wednesday I went to spin class, my second cross training day of the week. Thursday was a tempo run: warm up 2 miles then run at tempo for 3 miles, and then cool down for a total of 6 miles. My average tempo pace was 7:18, which I was thrilled with. It ended up being a PR for my 5K finish time of 21:53:06. Again, I concentrated on doing what felt right without over doing it and pushing too hard, but still trying to maintain a comfortable yet hard pace without complete exhaustion. I was pretty pleased with my progress. Now I need to be quite honest, I do not enjoy these hard training days, I actually dread them! Once I get warmed up and begin the first mile of the tempo, everything seems to click, and off I go. Prayer really helps me get through those tough times. Friday ended up being my rest day, and I enjoyed spending the day working at the Nuun Hydration booth at the So Cal Ragnar race. It was so much fun to meet some fellow bloggers! On Saturday I did another cross training - row machine for 35 minutes. I like to warm up for 5 minutes then interchange 5 minutes hard and 5 minutes easy rowing. This was my last cross training day until the Boston Marathon. I never cross train the week of the race. Saturday was my last long run before Boston at 10 miles. I decided to give my race outfit a test run, because you always need to try out everything before race day. I even decided to break in my brand new pair of Saucony Kinvara 4 shoes, the same brand of shoe I have been running in for years. To my surprise, I got blisters on the back of both heels! I was shocked because this has never happened with my Saucony Kinvara shoes before! Now I have a dilemma, which shoes to bring to Boston to run in. I usually run in a brand new pair of shoes because they are so bouncy and comfortable. I have a couple of options, so I will bring a selection with me to Boston. The 10-mile run was supposed to be at my projected marathon pace of 8:12 per mile, but lately my average pace has been around 8:03. On this day I managed to keep it comfortable and listened to my body without over-doing it and ended up with an average pace of 7:58. Here is hoping Boston will go as well! With the marathon being a week away, I am getting excited and anxious. Not much training will be going on this week, just a few short runs at race pace and no cross training. Trying to pack for this trip is challenging because the weather keeps changing. I don't know if I should bring shorts or capris to run in, long sleeve or sleeveless? My suitcase is going to contain every weather combination imaginable including a couple different running shoes, too. We fly out to Boston on Thursday, leaving at 8:00 AM California time and arriving in Boston around 7:00 PM. With the time change, I like to arrive a few days early so I can adjust before race day. Friday we will attend the Boston Marathon Expo and pick up my bib. Saturday we have tickets to see the Red Sox and Sunday we will attend church at The Old South Church, or better know as The Church of the Finish Line. Over the course of the weekend I will also be meeting up with several sponsors, running teammates, and bloggers. It is going to be an amazing week in Boston! I will be keeping you all posted on Facebook and Instagram. If you would like to get runner alerts on your phone you can text my bib number 22089 to 234-567. Two weeks from today will be Marathon Monday! All the hard work is done, I am trying to trust in my training and believe that I am ready. This is my third time running Boston, I know the course, I know I will see my husband at mile 17, I know when it gets tough, andI know there is nothing quite like it. This week I focused on keeping my mind on positive thoughts: finish strong, run the mile you are in, cruise up the Newton Hills with good form and focus, Heartbreak Hill is a breeze and then down hill to the finish. I know I can do it, I pray I can do it, I want to run well for all of those that can't. I want to finish strong for Boston. This race is more than just another marathon, it is THE marathon. There is no other sporting event where amateurs can compete against professional elite athletes in the exact same event. You don't see amateurs out there at the Super Bowl or World Series. It really puts things in perspective and I don't take the opportunity for granted. Being in Boston in 2013, my first Boston Marathon and the year of the bombs, has changed me. I no longer run for myself, but I run for others and with others. Boston said it right last year, we Run as One. I can't even begin to describe the feeling of love and welcoming when I arrived back in Boston last year. All the locals were so friendly and anxious to see us arrive. It really felt like a huge Welcome Home party. During the marathon, it was overwhelming to see all of Boston at the marathon, and when I say all, I mean everyone was there as spectators cheering us on or volunteering at the race. It was incredible to see all the added security along the course making sure we were safe. I am so thankful for the opportunity to run Boston again this year and I hope to continue to for as many years as my body (and God) will allow. My taper has begun, I am not running long 20 mile runs anymore but my main focus is staying healthy, getting enough sleep, and maintaining a well balanced diet that will keep me nourished and hydrated before race day. I was suffering with a bit of a cold, so I took it a little easy on the tempo run and intervals. My long run was 13 miles at race pace, but I have noticed that I seem to be settling into a little faster pace than I had planned. Maybe I will be ready for a PR in Boston? God only knows! All I know is, I have put the work in and now I hold on for the ride of a life time! This marked the last week of hard training and my final long run before my three week taper. I got in the pool on Monday and did 22 laps with the kick board. My focus was on my glutes and hips to power my body through the water while keeping straight legs; breathing was hard and my heart rate elevated. The pool always feels great after a long run day, floating and feeling weightless after a day of hard pounding. Tuesday was speed work: 10x400 in 1:36 with 90 second rest interval. This was challenging, but I managed to get an average time of 1:31 per interval. By the time I was on my last 400, I was exhausted! This speed work really helps you run faster with less effort. It trains the cardiorespiratory system and muscular systems to efficiently absorb, deliver and utilize oxygen while moving carbon dioxide and lactic acid. If you want to run faster, you should give speed work a try. Wednesday was a double workout day with PiYo in the morning and Spin Class in the evening. PiYo combines the muscle-sculpting, core-firming benefits of Pilates with the strength and flexibility positions of Yoga. The class was taught at 24 Hour Fitness. It involves fast moving positions set to fun music. Since beginning PiYo in September, I have noticed increased flexibility and core strength both of which are very important to runners. Spin Class is also taught at my local 24 Hour Fitness gym. When running the Boston Marathon, you need to have some strong quads for all the down hill running at the beginning of the race and spin class will help to build those muscles and increase your endurance. Thursday was an 8 mile tempo run at race pace (8:12) with a warm up and cool down for a total of 12 miles. So my training program said Race Pace, but I ended up running it a little faster with an average pace per mile 8:07. The important thing to remember about a tempo run, is that you cannot stop or slow down, you need to stay at the desired pace for the duration of the tempo run. Then you can do your cool down miles. But to garner this training effect, you've got to put in enough time at the right intensity. Finding the right rhythm: To ensure you're doing tempo workouts at the right pace, use one of these four methods to gauge your intensity. Recent Race: Add 30 to 40 seconds to your current 5K pace or 15 to 20 seconds to your 10K pace. Heart Rate: 85-90% of your maximum heart rate. Friday I usually use the row machine but I wasn't feeling well so I decided to rest. My allergies were acting up and I wasn't sure if a cold was coming on so I didn't want to take my chances. I believe in resting my body when I don't feel right. Sunday was my final 20 mile long run. My last long run until I run the full 26.2 in Boston. I decided to get up early because it was going to be hot. My run started at 6:30 AM with 4 miles of down hills. Then it flattened out for about 2 miles of street running. At mile 7, I reached the rolling hills of my local trails. The nice thing about rolling hills, you get a nice break once in a while on the down hills. My 20 miles ended at a local Ruby's Diner so my family met me there for a celebratory breakfast!